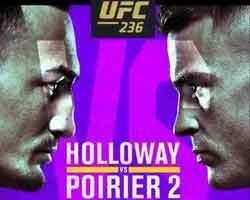 Review: 2014-03-15, pretty good fight between Diego Sanchez and Myles Jury: it gets three stars. The black belt in Brazilian jiu-jitsu Diego Sanchez entered this fight with a mma record of 24-6-0 (62% finishing rate) and he is ranked as the No.13 lightweight in the world, he fought twice in 2013: firstly he defeated Takanori Gomi (=Sanchez vs Gomi) and then he lost to Gilbert Melendez in one of the best mma fights of 2013 (bout rated with four stars: Melendez vs Sanchez). His opponent, the undefeated Myles Jury, has a perfect record of 13-0-0 (85% finishing rate) and he entered as the No.20 in the same weight class, he is also a black belt in bjj and he is 25 years old (seven younger than Sanchez). Sanchez vs Jury is on the undercard of Johny Hendricks vs Robbie Lawler – UFC 171. Watch the video and rate this fight!